“Faith and Justice in the formation of the Jesuits”. 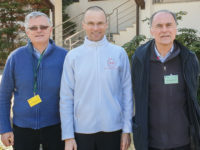 This was the title that accompanied the European delegates from the Social and Formation sectors during their annual meeting in Falenica, Warsaw between March 31 and April 3. This was the first time that both groups met at the European level to collaborate and to reflect on how to keep alive and how to deepen the social dimension in the formation of young Jesuits. We had time to pray, to share our thoughts and inspirations, to work in groups, to discern and propose actions in order to walk together and share this purpose. 1. Accompaniment is a key element to promote a more integrated religious life in which the formation of a Jesuit requires someone who will help us to discern our vocation of work for justice. Just as you have a tutor in the academic field and a spiritual companion, you also need someone who helps you to discern the vocation to work for justice. 2. Community calls for a caring lifestyle in addition to hospitality and proximity to the poor, with an emphasis on hospitality and the ecological dimension. 3. Integral and integrated formation emphasises the importance of training with intellectual depth and a sapiential reading of reality. Special attention was given to the decrease of colleagues who reflect seriously on the social reality, and can therefore call others to take this approach seriously. The first day we shared about the different realities and initiatives in several corners of Europe. Chaired by Zibi Leczkowski and Luis Arancibia, we first contextualised the reality of the Social Apostolate in Europe with a video that showed our common work in favour of justice. Next, the delegates of both sectors from each Province presented the work done before the meeting in Falenica. The shared work has produced a document with a lot of information. Peter Rožič SJ made a brief summary, but some comments reflected the problem of a fragile and small social sector in various Provinces. 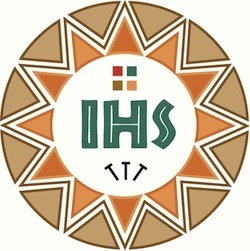 In general, summer social activities have an important weight in the Jesuits information, but the social sector and training are largely absent from in the intellectual field; When there is no clear strategy in the Province, the Jesuits assigned to the social sector are chosen almost at random. Our lifestyle does not always help much to cultivate the social dimension. The vocation to the social sector is not cultivated or nurtured, but it is integral to our vocation as Jesuits. A Jesuit’s formation has a tutor in the academic field, a spiritual director, but who helps him to discern his vocation for the work for justice? From this perspective, Alessandro Manaresi, the European formation delegate, presented some points for prayer and personal reflection. Where does the Lord lead us? (Is. 65, 17). What does it produce in my consolation, desolation and where do I feel the call of God in this common mission? A visit to the W AKCJI Social Center was a great gift. It is a work JRS Europe in Poland, dedicated to the care of refugees and asylum seekers. Sister Anna Rscj and our partner Andrzej Sj welcomed us at the center. The refugees in Poland are relatively small in number, compared to the reality of its neighbour Germany. The nationalities of the refugees are primarily Russian, Ukrainian and Tajikistani. The Polish immigration policy is very restrictive. Another diverse reality is the migratory reality where more than one million Ukrainians live in Poland. The center is attended by a group of African migrants, mainly from Ethiopia, who organize and meet regularly at the center. In the theologate, three young Jesuits presented us the different types of work that young Jesuits in Poland have been doing during the different stages of formation, mainly with migrants and refugees, people with disabilities, homeless people, elderly people and Roma families. They prepared a very good presentation with the contributions and experiences of several of their classmates. Then we shared together the Eucharist, the dinner and a meeting place with the whole community. 1) Styles of community life and closeness to the poor. 2) The need for comprehensive training. 3) Helping young Jesuits to develop a social identity. 4) Elements which need to be incorporated into the formation process from the novitiate to the third probation, with an emphasis on the accompaniment key. 5) the kind of training activities to be proposed. 6) The ecological issue as an overriding dimension. After working in groups, Mark Ravizza and Xavier Jeyaraj gave us some echoes and observations from a global perspective. 1. Participation decreases from the Novitiate to the Juniorate: How do we keep alive the social dimension among the youngest? 2. We need to deepen the conversion with ourselves and pay attention to what moves us, to the commitment to which we are invited. 3. How are we responding to the calls that young people ask of us? Mark Ravizza raised the question of how we need to see the image of the first companions at the beginning of the Society of Jesus because this is what we must take into account: they lived with the poor, they prayed together, they talked, they discerned together. The new universal apostolic preferences give us the formula to carry out the mission, they are a guide for the conversion of life and mission. a) The need to establish a link between the networks and the Provincials and, since the Provincials are not always aware of the work that the networks do, the document that comes out of this meeting in Falenica will be of great help for that. He encourages all the participants to share with the Provincials what happened here. b) Some Provinces do not have a Delegate for the social apostolate and it is important to assign one. Peter Rožič and Alessandro Manaressi concluded this meeting by thanking everyone for such a fruitful time together and congratulated us on the work done jointly by the delegates prior to our meeting.